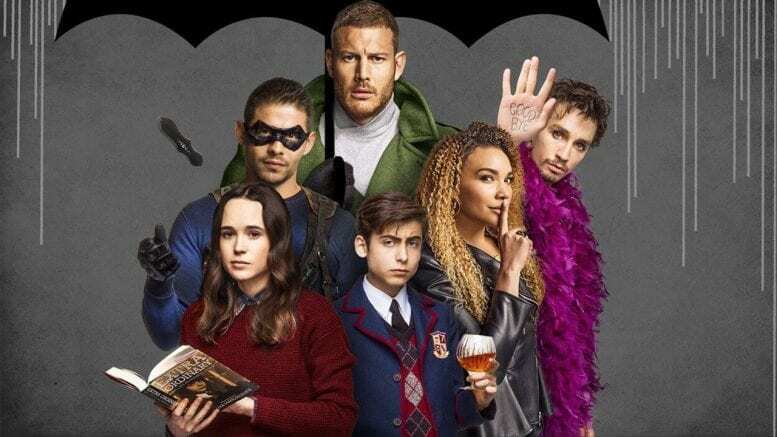 The newest installment in Netflix’s endless supply of original tv shows and movies is The Umbrella Academy. Based off of a comic book written by Gerard Way (former frontman for My Chemical Romance), the show takes place in present day and is set in an unspecified city and centers around a highly dysfunctional adopted family of seven. Each sibling has an unusual power, except one. The story begins with the death of their father, who they all loathed. He took them in at a young age and trained them to fight crime. Two (Diego): Extreme accuracy with projectiles (especially knives). Four (Klaus): Can speak to the dead. Five (no other name): Power to jump through time. Six (Ben): possesses monsters from other dimensions under his skin (often seen with tentacles. Seven (Vanya): power unknown or nonexistent. The show is riveting from start to finish, with constant plot twists and turns that leave you bewildered about what is to come. Each of the ten episodes are an hour long and have cliffhangers that make you beg for more. The cast is brilliant, starring award winning actress Ellen Page. There were also many lesser known actors like Robert Sheehan and Emmy Raver-Lampman who all were incredibly good in their roles (as Klaus and Alison respectively). Through and through, the show was fantastic and I recommend it highly to anyone who likes superhero movies mixed with a bit of dark humor.